Shooglebox is a creativity tool that helps you harness your curiosity and come up with better ideas. It’s a place to squirrel away all the interesting things you find – whether it’s useful material for specific projects ... or general knowledge and inspiration you come across day to day. And it’s a place to explore. Shooglebox helps you digest and review the things you’ve gathered in a way that sparks fresh thinking, unexpected insights and better ideas. SQUIRREL AWAY Everything you pop into Shooglebox – a note, a web link, a video, a photo, a quotation – is represented by a card. You can keep all your cards in one box – a box of inspiration – or you can create separate boxes for different projects. The Shooglebox iOS app helps you quickly capture the interesting things you stumble across when you’re out and about. Use the share function on your favourite apps to save images, web links, audio and video to your inbox when inspiration strikes. 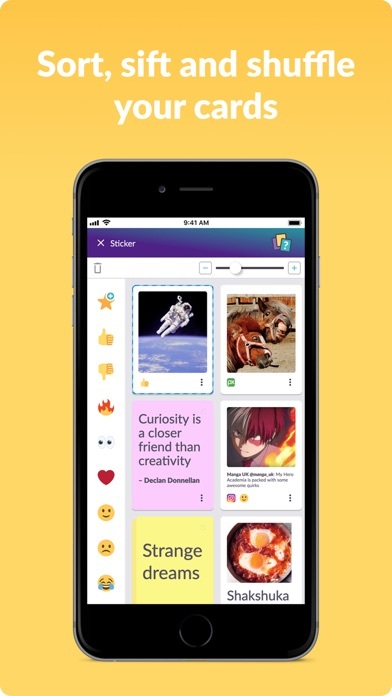 It’s a great tool for adding quick notes as text cards during meetings, capturing ideas as voice notes on your morning commute, collecting thoughts during a brainstorm – or saving a web link or social post to come back to. Your content will automatically sync with the web version of Shooglebox. 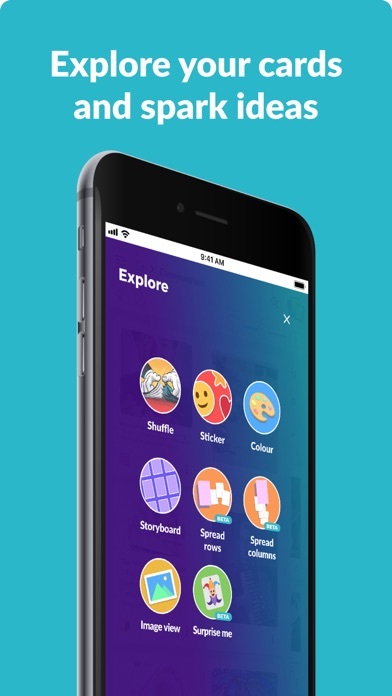 EXPLORE When you open a box you can lay out, sift, sort or shuffle your cards in different ways that help you explore themes, spot patterns and make connections. 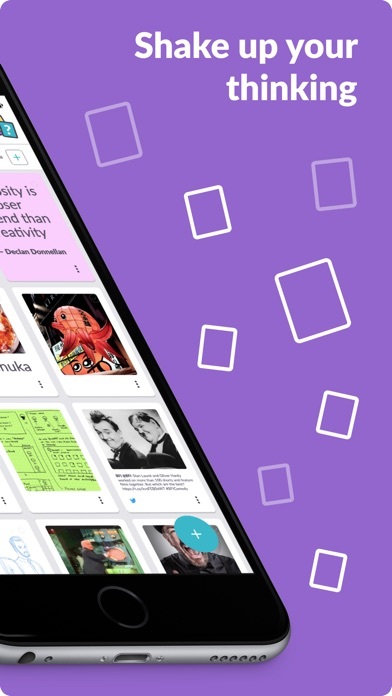 You can add links between cards, add stickers or colours – or stack groups of cards together. 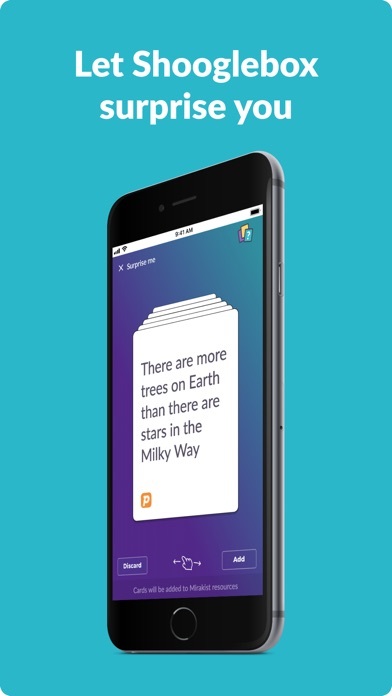 And you can ask Shooglebox to surprise you by offering up randomly generated cards that might spark an unexpected thought, connection or new idea. It’s all about helping you make the kind of surprising associations between different elements that can lead to true creativity. You can use the Explore modes on your mobile device – or on a larger laptop screen or monitor where you have a bigger canvas to lay out your cards. CURIOSITY AND CREATIVITY Shooglebox was designed with the creative process in mind – but it’s not just for writers, designers or people with a “creative” job. It’s a great tool for learning, for research and for encouraging curiosity and deeper thinking – going beyond the first answer, the quick assumption, the obvious Google search. And once you’ve spent time exploring a topic or gathering lots of inspiration, you can use Shooglebox to share the results with others. 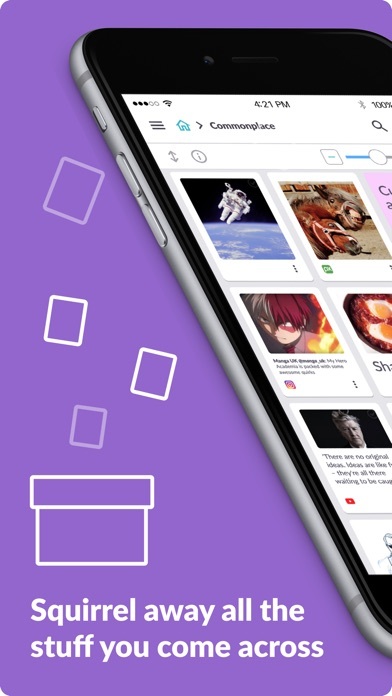 You can share a box of inspirational cards you’ve collected – or you can switch to Storyboard Mode and lay out a series of cards in a more structured way. So your collection of cards can be a catalyst for curiosity and creativity in those around you – inspiring them, too, to think out of the box! 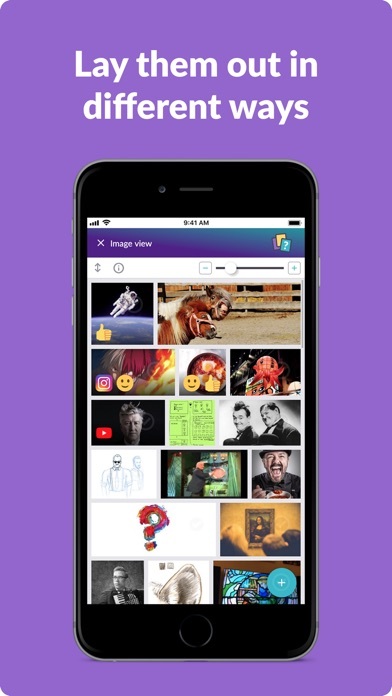 WORKING WITH OTHER iOS APPS The Shooglebox app makes it easy to quickly save content from the other apps you use on your iPhone or iPad – like Photos, Safari, Google Maps, Facebook, Twitter, Instagram, Spotify, Kindle, Voice Memos, Just Press Record and more. Just click on the icon that’s a square with an upward arrow in any app that allows sharing and select Shooglebox as one of your sharing options. Now, whenever you find a photo, note, audio file, video, web link or social media post you’ll be able to save it to your Shooglebox Inbox in just two clicks.